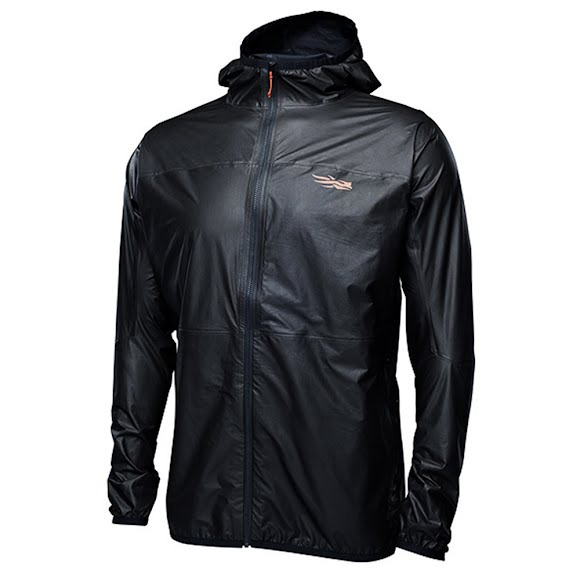 Sitka Gear's Vapor SD Jacket is a featherweight, ultra-packable waterproof jacket for training in unpredictable conditions. The cutting-edge GORE-TEX® SHAKEDRY™ technology creates a permanent beading surface and removes the face fabric of the garment, resulting in an incredibly lightweight and 100% waterproof jacket. Sitka Gear &apos;s Vapor SD Jacket is a featherweight, ultra-packable waterproof jacket for training in unpredictable conditions. The cutting-edge GORE-TEX® SHAKEDRY™ technology creates a permanent beading surface and removes the face fabric of the garment, resulting in an incredibly lightweight and 100% waterproof jacket. The Vapor easily fits in a pocket to provide peace of mind on long runs and exposed ridge traverses.